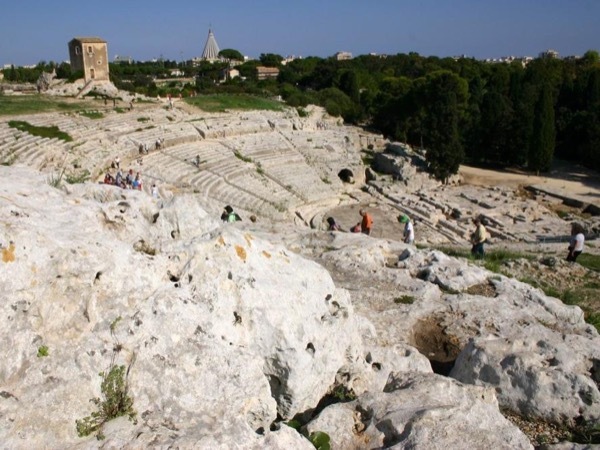 Traveler Review for Private Tour in Siracusa, Sicily, Italy by Tour Guide Alessandro R.
Alessandro is one of the leading guides in the area. Degreed in Archeology, he is, of course, quite knowledgeable, but it is his insights, ability to seek out unique hidden angles of the towns, and that well-known wry wit of Sicily that sets him apart as an exceptional guide. Over 3 days I toured: Siracusa, Noto, Ragusa, Modica and Scicli - All of these towns are full of nuances & marvel, but Alessandro gave me a profound appreciation of the history, culture, and patrimony of this part of Sicily. TOUR GUIDE RESPONSE: Ciao Julie, thank you so much for writing such a nice comment on your tour with me in south-eastern Sicily. You have been a special guest for me and I will never forget the great time I had with you. Thank you again!